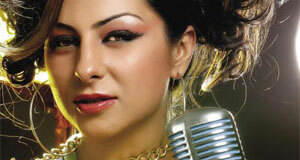 Kainaz Motivala, a model, aspired to become a journalist but eventually switched to acting. 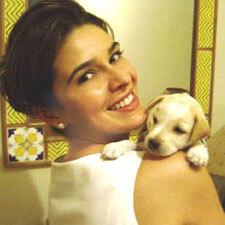 Besides, she is a published writer, and above all, an animal lover too! Woof! Surely a multifaceted personality. 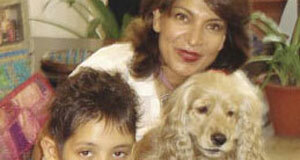 Kainaz is not just an avid animal lover, she has been passionately serving the furry angels too. She has adopted around 100 dogs from her locality, who she feeds and also takes good care of these pariahs’ health, vaccination and hygiene. And she loves doing all this. “I think I have been in love with these animals, especially dogs, ever since I was a kid. My mom is also an animal lover and I think she passed that down to me. I grew up in a small town, where people had lots of animals: dogs, goats and chickens and I always found that very interesting,” she said. Though she has a great compassion for animals, surprisingly, she doesn’t have one at home…but she really wants to have one…. “I want to do work that I believe in and it is my plan to get myself a little puppy on my birthday,” she told. It would indeed be a sight to see her as a proud pet parent! Her unconditional love for pariahs is so strong that helps her to weather all odds. “There are people who don’t like animals and don’t understand basic animal behaviour. They disapprove of the things we do to help these animals in need. 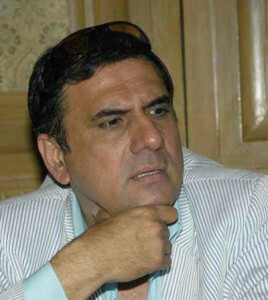 I’ve got into problems with some people because of this, but it doesn’t deter me at all,” added Kainaz. Being a celebrity, how does she manage to steal time to follow her passion for animal welfare? “It doesn’t take too much time to show your affection towards an animal. Even a pat on the back earns you a lot of brownie points in doggie world. And being with them also acts as a stress buster for me. We lways find time for things that make us happy and being with dogs is that thing for me,” she replied. “They ooze so much love and can always uplift my mood. And I love their energy, sensitivity and playfulness. They just love me unconditionally, no matter what,” she added. “I would just like to appeal to people to show more love and empathy towards animals. There are so many animals in need of help all the time. If you can’t provide a home to them, at least try to feed them or provide them with medical attention when required and you will have a true friend for life,” she concluded. Seeing all that things she has done so far, one cannot deny the fact that versatility has always been Raageshwari’s forte. She is an actor, a VJ and a terrific singer. It takes just one meeting with her to instantly connect the chirpy fun-filled onscreen girl to the real Raageshwari who giggles and laughs endlessly as she narrates episodes of her life spent with some beautiful pets in the past and current best buddy Mr Harpo Raageshwari Loomba. Raageshwari as a kid would pick up stray pups and kittens; and to her surprise, her parents would readily welcome each of them. “My first pet was a brown and black kitty named Poncho,” she recalls. After Poncho, she had another cat called Nonie and then a parrot named Gangaram. And her experience with canines was marked with the entry of a Pomeranian couple named Fiddle and Leutty. Fiddle was a rowdy brat while Leutty was like the well-behaved queen, very composed and polished. Raageshwari has beautiful memories of these lovely pooches running all around the house bringing back a fun atmosphere at the Loomba Residence. Leutty, being the obedient one, never required a leash or any kind of supervision while Fiddle who was always taken down with a big harness would hate to see Leutty galloping around on her own. “Fiddle would chase all kinds of moving objects and eventually land up in mucky puddles to amuse everyone around. Sadly, Fiddle passed away at an early age,” she added. “My ‘Harpo’ is a twin soul in many ways. He bullies me and never listens to me but my family tells me that he gets miserable when I travel. He looks at my towel and clothes and sings in a morose tune. He keeps lying down only in my room. The moment I get home he meets me like fifty children in a circus. He is all over me – singing, whistling and then follows me into my room and sits on the bed and endlessly stares at me,” she told happily. “Harpo loves to go for long walks and drives. He has a toy called ‘Gudda’ which is the ugliest looking toy ever but Harpo loves it like crazy. We perpetually end up playing the ‘Fetch Game’ that he loves to play with ‘Gudda’ but we got to play it his way wherein… we throw the toy and then fetch it ourselves, while he hides! Then we have to find him and lure him into grabbing the toy… then he growls and we have to beg for him to give it back while he rolls his eyes! It’s a game for the daft family and we sort of qualify completely!” she laughed. “I think he loves the fact that I always listen to him. In fact, at times it feels like he owns me and he is my master! Harpo is a spoilt brat, so if he is lazy I let him sleep; if he wants something to eat, he gets it only from me. Even if I am working on my comp, he will get his toy begging everyone to play with him, only I will stop everything and play with him. So, I guess he hopefully likes the fact that I am always there for him,” told Raageshwari. “Harpo is very high maintenance so we can never leave him without a family member. I have never holidayed without him and as a pet parent it’s an obvious sacrifice you got to make. We simply cannot take off on a holiday where Harpo cannot accompany us. I would hate to fly him since cargo accommodations in planes are really stressful. So, we most of the time end up out trips to nearby places. We always go to the hills and resorts located close by where we can drive together and Harpo loves every bit of his leisure trip,” told Raageshwari as a responsible pet parent. “I have met and interacted with many dogs but Harpo seriously is a rare one. The way he greets us when the family gets home is indescribable and astonishing. We simply stand still as we get worried someone will get hurt. He jumps all over the house, gallops like a horse, licks us unremittingly and this goes on for half an hour until we faint. I love the fact that he expresses so much love and saves it only for his dearest family,” she chuckled. Harpo makes his pet parents exercise! “We have to run behind him while he gallops, hold him to save mortal guests who arrive; we have lost oodles of weight since he’s been with us. And it’s his super active behaviour that keeps him good in shape and health,” she laughed. “Harpo is a glutton… apart from his assorted meals of fish, chicken and mutton everyday, he craves for more always! He is a total foodie and we invariably end up pampering his taste buds,” she told. “Sorry he is my son, but I can honestly say, that he is the most spoilt, ill-mannered, ill-trained, neurotic, passionate dog… he is a mean machine for any seventh person other than his family of six (that is us)… so, while he is an adorable baby for us, with others he is simply Hell-On-Wheels. I should not and cannot share any tips as people after reading this wouldn’t obviously want to end up with training their pooches to become a monster like Harpo,” smilingly concluded Raageshwari. But an adorable monster indeed! Harpo occupies a very special place in Raageshwari’s life and we hope that our pretty angel someday succeeds in taming this little devil called Harpo. “I love to train him. Actually I am the trainer. I like to spend time with him and sometimes when he is disobedient, my father tells me that I am responsible for that,” she narrates. Isha and Mowgli share wonderful compatibility. “It’s the unconditional love, the behaviour…which has strengthened our bond, it is really great. Mowgli is the most pampered member of our family,” she adds. On being a responsible pet parent! “Be responsible to your pet. If your family atmosphere is peaceful, then your pet will also behave in the same manner. If we are aggressive, impatient, they will adopt the same behaviour. It’s very important to shower proper love on them. Proper grooming should be done – paw care, trimming, cleaning ears, etc. And don’t forget the important vaccinations,” concludes Isha. The quiet appearance of Divya Seth in Shahid-Kareena flick Jab We Met as Shahid’s mother made the character truly unforgettable. Better known as the ‘Majhli’ of yesteryears’ first soap opera on Indian television Hum Log, Divya also has many other memorable performances to her caredit, which include popular shows like Daraar, Adhikaar, Abhimaan and Sarkaar. Besides acting, Divya adores pooches…not just pets but all furry angels. Here she shares her deeply imbibed doggy love. Excerpts – On entering Divya’s maternal house in Delhi, where she was with her kid on a short trip, I was greeted by her mother, the versatile actress Sushma Seth, daughter Mihika and the lady herself having a great time with their pets, namely, Pebble – American Cocker Spaniel, and Pepper – English Cocker Spaniel. “Without a doggy…our lives are incomplete and everyday is a special day with them,” shared Divya. As a 10-year-old, Divya always used to pester her mom to adopt a pet…a cat…a rat…a parrot…anything. And one Christmas eve, her dream came true in form of Tippy – a Lhasa Terrier. “Tippy was my best buddy. The day I set my eyes on her, I threw all my toys and dolls out,” Divya remembered fondly. Divya loves all her doggies but still her personal favourite remains Tippy, as she added, “Tippy was mine, her loyalties lay with me and her love was so unconditional.” A glint in her eyes and a shiny smile on her lips was testimony of her immense love as she shares Tippy’s anecdote, “Once during childhood, I and my brother were fighting, Tippy pounced on my brother as she thought I was in need!” Sharing more on Tippy, Divya disclosed, “There was a cat who regularly used to visit our terrace and finish Tippy’s entire milk, Tippy tried to shoo the cat but got scared of her” laughingly added Divya. Divya was 24 years old when Tippy died. “I have all my wonderful childhood memories with her,” she exclaimed. After Tippy, she adopted many pets including a couple of cats and two dogs. Today, she has two doggies in Delhi and three in Pune. Like mom and grandmom, Mihika, also shares a special bond with furry angels. “We have three lovely pooch companions – Spike (Pug), Nitro and Diesel (Weimaraners) in Pune.” Rating her favourite among them, she said: “Spike is my favourite as he loves and adores me…and I love him too,” she added. Elaborating more on Mihika and Spike’s relationship, Divya said, “Spike is crazy about Mihika, when he doesn’t find her around, he goes nuts.” His love for Mihika is such that he accompanies Mihika for swimming too. He just sits on poolside admiring her splashing in water. But the moment she goes under water…he starts jumping around. Nothing but only the sight of Mihika can calm him down. 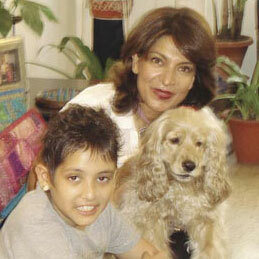 All in all, Divya and her family’s love towards the furry angels is truly unconditional. “Take care of your pet, as you would care for your child…with love and heartfelt passion. They are not trophies or showpieces. Many people enjoy the pup stage and then abandon their pet… that’s terrible. Make sure you are ready for a life-long commitment,” is her message to pet lovers and would be pet parents. 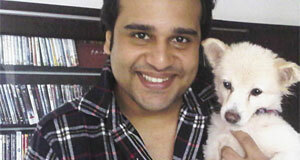 Kashmira Shah and Krushna Abhishek have danced their ways into millions hearts through reality shows. Read more about their canine chemistry. Kashmira Shah’s love for animals started when she was just three and a half years old. She brought home a kitty. “I still remember tiny sweet feline…my first pet, I called her Manya,” she fondly recalls. BOO is an American dog, his parents were show dogs in America…he’s been spreading cheer in Kash’s life for past nine years. Krushna, Kash and their precious paws together make one Purrfectly Pawfect family. They make most of everyday. And she adds, “Whenever I am angry, BOO will leave no stone unturned to calm me down. Once my help didn’t turn up and I was extremely angry. Boo and kitties with their persuasive powers won over my anger. These kids are well-cared and nurtured, as Kash adds, “We never leave our pets alone. One family member is always there to look after them.” All their daily needs are keenly supervised by Kash herself. Moreover, she’s a wonderful cook and her pets just love to gorge on Mamma’s recipes. She equally loves a stray…a pariah or a pedigree dog. On asking about her view on animal welfare, Kash explains that she is actively engaged in animal welfare. On a concluding note, Kash appeals to all humans to ‘be human’ to man’s best friend, and adds, “I am heartbroken when I see an abandoned animal. What adds to my apathy is people’s indifferent attitude towards these mute creatures. So ‘Be Human’ and never leave any animal alone in suffering, it won’t take much time…it really heals. Tall and graceful, Pooja Bedi inherits her genes from the legendary actor Kabir Bedi and renowned Odissi dancer Protima Bedi. “I have pets since 1982. My first pet was Bobo, a Lhasa Apso and I learnt a new meaning of man-canine relation with her. We all… me, my brother and Bobo… had a lot of fun …in fact we all grew up together,” tells Pooja. Bobo was fond of everyone in the family, especially Pooja’s mother Protima. “Mom was very close to Bobo. She taught her Jagannath Swami mudras, Namaskar etc…as Bobo used to be part of her dance rehearsals,” reveals Pooja. Bobo died at a tender age of 10. Her death left everybody in deep pain. As Pooja shares, “We were so heartbroken that we decided to never adopt pets again. But we couldn’t resist and in no time Taffy, once again a Lhasa Apso, entered our lives.” The void created by Bobo’s death was joyfully filled by Taffy. “Taffy added joy to our household. She was just too wonderful…loving…gentle…and so expressive that I could easily make out whatever she wanted…it was a wonderful connection. We were extremely close, as she followed me like a shadow,” remarks Pooja. Taffy’s death was really heartbreaking for Pooja but the most touching part was that the entire family came to her funeral. As Pooja’s household got familiar with gushing and cooing of l’il Magic, the need for another playmate was felt again. 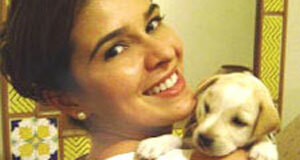 Pooja’s friend Anna Singh’s pet had a litter, and so she was invited to adopt one of them. Pooja along with family chose to adopt a Lhasa Apso and fondly named her Pandora. Pandora and Magic mixed up well together in no time. “There’s a wonderful bond between these two siblings. Being quite protective and loving, Magic takes good care of Pandora. It’s a great sight,” asserts Pooja. Omar and Aaleya share a loving relationship with both their pets, as their popularity is not just limited to home…but they are stars among their friends as well. “Magic and Pandora are so much fond of my children that they even accompany them for pick and drop to their school. With them, it’s always play time at home. They go shopping, walks and long drives with us. They are my adorable kids,” mentions Pooja. Food, grooming and all vaccinations are taken care of by Pooja. In fact, she feeds them what they relish, be it keema, chicken, cheese, mutton, chicken, and vegetables, especially tomatoes. “I keep changing their diet plan as I believe they have every right to be a part of the family table,” adds Pooja. On a concluding note, Pooja expresses her wish to be HUMAN to our cuddly canines and she adds, “Our pooches have short lives…just 10-14 years. So, I feel we should never deprive them for anything. Let them live the most.” And her message goes – KEEP THEIR SOULS HAPPY! 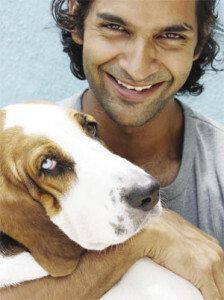 Boman’s first doggie was Jolly, whom he loved a lot. 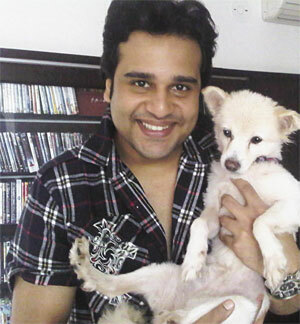 After Jolly passed away, Boman and Zenobia adopted Layla – a Golden Retriever. Boman has two sons – Danesh and Kayur. The only wish he wanted to fulfill was to have a loving daughter, which Layla fulfilled easily. “Today I can’t even imagine my life without Layla, my most lovable,” revealed Boman. 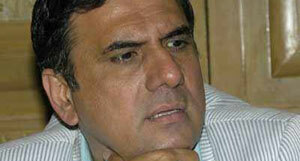 Layla’s homecoming is yet another exciting tale Boman fondly shared with us. As one fine night, Danesh, Boman’s eldest son, informed all family members that a couple was moving out and so they wanted to offer their pet for adoption. The offering brought a big smile on everyone’s face. Next morning, all family members woke up early to welcome their new family member – Layla. “The moment the couple saw us, they felt they were giving their daughter to the right home,” exclaimed Boman. Layla’s first visit to Boman’s home was a moment to cherish for all in the family. “She came sprinting into the house and landed on the bed. Before we adopted her, she adopted us. It was a divine bond,” shared Boman. Danesh and Kayur take good care of their younger sister. When the trio is together at home, they have a great time. Kayur has great control over Layla…when it comes to discipline. He ensures Layla remains a well-behaved and disciplined girlie. And he has all his faith in her that she would never do wrong. Whereas Zenobia takes good care of Layla’s routine and nutritional needs. She is a good mom to her. Layla loves to gorge on milk and roti cooked by Zenobia, who loves cooking delicacies for her. Having a pooch is a big responsibility. They want a lot of attention and care like any child. “Layla is spoilt by our love and care. And I can’t afford to have another pooch kid as both my sons are too happy pampering their younger sister,” concluded Boman.